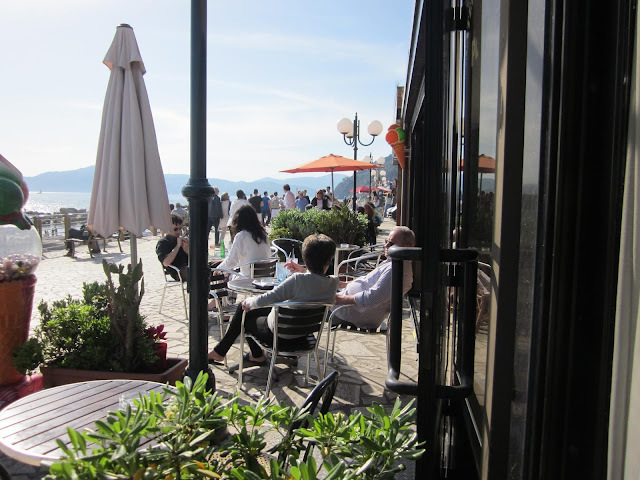 CHIAVARI, Italy – With the temperatures in the 90’s and not looking to drop any time soon, this is a good time to take a little vacation. The goal this summer is to try and stay cool, finish up some writing projects that have been hanging around far too long and kick back and enjoy the company of friends and family. If you were all here in Chiavari with me, I would invite you to pull up a chair and share the ravioli nudi I’m making for lunch today. But since you are not, the least I can do is leave you with the recipe. Italy has such wonderful summer food, and this is one of my favorites. I hope you’ll try it. Ravioli nudi is a Tuscan dish from the provinces of Siena and Grosseto. Nudi or gnudi, as they say in Tuscany, means something naked or bare, and in fact these ravioli are exposed in all their glory. This isn’t the type of dish that you’ll find in a restaurant or even a trattoria in Italy. Ravioli nudi are part of the rural food tradition of Tuscany, a home cooked dish, easy to make and delicious. Each family has its own recipe that has been handed down from generation to generation. The traditional recipe calls for a butter and sage sauce, but you can also use butter and extra virgin oil in equal measure, and sage of course, and also get good results. Before you start this recipe, put your ricotta in a strainer (over a bowl of course) and put it in the refrigerator for several hours, or overnight to remove the excess liquid. Clean and wash the spinach. Cook for ten minutes in a saucepan with just a small amount of boiling, salted water. When the spinach is cool enough to handle, squeeze out all of the excess water and finely chop. 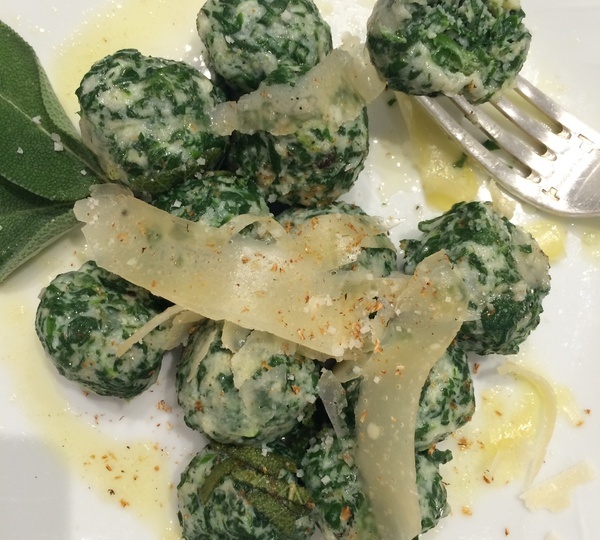 Place the chopped spinach in a large bowl with the ricotta, eggs, grated Parmesan, flour and a pinch of nutmeg. Mix until all the ingredients are thoroughly blended. Form the mixture into small balls, smaller than a meatball, or small croquette-shaped cylinders. In a large pot, bring enough water to a boil to adequately cook the nudi. Add the salt and drop in the "naked" ravioli. They are cooked when they rise to the surface. Remove with a strainer and sprinkle with additional Parmesan cheese. Melt the butter in small saucepan, add dried sage. Pour over the ravioli nudi, sprinkle of Parmesan cheese and serve. Small nudi are best and less likely to fall apart during cooking. You can create another version of nudi using just ricotta and cheese. It’s probably better to use sheep’s milk ricotta if you can find it, as it has a sharper taste and will make your nudi more flavorful. Hope you all have a great summer. See you in September.